Facebook on Monday banned Myanmar’s army chief and other top military brass after a UN investigation recommended they face prosecution for genocide for a crackdown on Rohingya Muslims. The site is the prime source of news and information for many in a country that only recently came online following nearly half a century of military rule. But it has also been a platform for the army and Buddhist hardliners to spread hate speech and incendiary posts against the stateless Rohingya and other minorities. In recent months the tech giant has embarked on a huge PR campaign, admitting it has often been too slow to take down inflammatory posts. It blacklisted two firebrand Buddhist monks and an Islamophobic group notorious for spreading anti-Muslim propaganda. But this is the first time it has touched the country’s military. 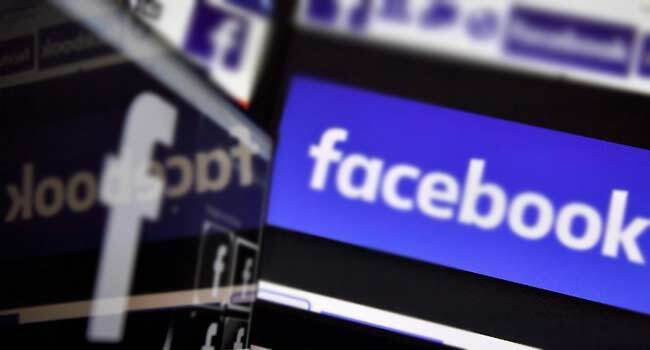 “We are banning 20 Burmese individuals and organizations from Facebook — including Senior General Min Aung Hlaing, commander-in-chief of the armed forces,” the platform said, adding that it wants to prevent them from using the service to “further inflame ethnic and religious tensions”. Facebook has some 18 million accounts in the country of 51 million people and is also relied on heavily by the government to make announcements. Army chief Min Aung Hlaing had two active Facebook accounts, one boasting 1.3 million followers and the other 2.8 million. Posts in both English and Burmese would refer to the Rohingya as “Bengali”, implying they are illegal immigrants from Bangladesh and helping reinforce the idea they do not belong in mainly Buddhist Myanmar. His pages also featured denials of atrocities during the crackdown, which was justified by the army as a legitimate means of rooting out Rohingya militants. Both accounts were taken down immediately as the explosive UN report circulated. The accounts of five other top military leaders specifically mentioned in the report were also blacklisted. A total of 18 Facebook accounts — not all the individuals listed in the ban had a presence on the network — one Instagram account and 52 Facebook pages were removed. The accounts were followed by a total of almost 12 million people, Facebook said, adding that data had been preserved. Rights groups have long criticised the platform for taking days to delete malicious posts, by which time many had gone viral. These include calls for the killing of a Muslim journalist and the spreading of messages to both Buddhists and Muslims saying that the other community was preparing to attack them. The UN report singled out Facebook for its “slow and ineffective” response. It also strongly criticised civilian leader Aung San Suu Kyi for failing to use her position and moral authority to stand up for the Rohingya against the military. Neither the commander-in-chief nor the president’s office could be reached for comment. Facebook chief executive Mark Zuckerberg has addressed the violence in Myanmar on several occasions including at a congressional hearing earlier this year. He told lawmakers Facebook planned to hire more native speakers to help monitor the situation and had partnered with civil society groups to identify perpetrators of hate speech. “We’re hiring dozens of more Burmese-language content reviewers, because hate speech is very language-specific,” he said at the April hearing in the US Senate.